In some situations, it is a government requirement to ensure that your electrical equipment be tested and displays an electrical test tag. The Occupational Health and Safety (OH&S) legislation imposes a duty of care to provide a safe workplace for you and your employees. If you fail to ensure that your organisation’s electrical equipment is in safe working order it can have negative consequences, not only can it result in fines, but it can pose potential harm to persons using the equipment. To ensure you have a safe work place, carrying out testing and tagging will ensure your tools, electrical leads and appliances are tested for electrical fault on a regular basis and give peace of mind to your employees and contractors that are using the equipment. Q. Is your electrical test and tagging up to date? 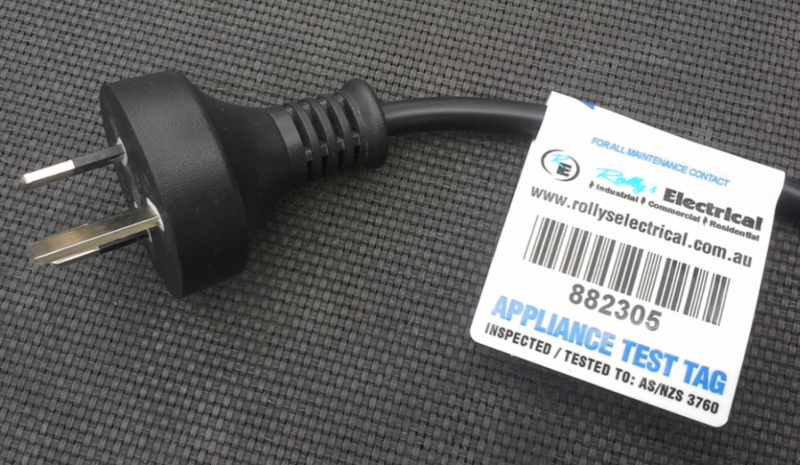 Rolly’s Electrical can come to your premises and conduct test and tagging to give you piece of mind.